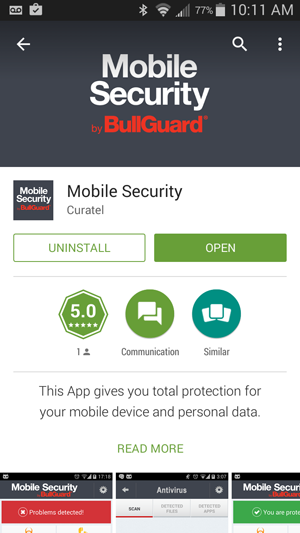 Installing Mobile Security is simple and only takes a few moments. 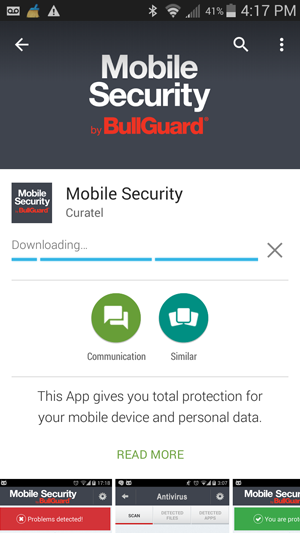 However, you should note that the Mobile Security needs a working Internet connection and will run on Android 2.3 or higher. Open the Google Play Store on your device and search for "bgmanager" then tap on Mobile Security or simply open the following link on your device: www.bgmanager.com/download - this will redirect you to our app on the Play Store. Next tap on INSTALL and read the list of resources and actions that the application currently being installed can perform or has access too. If you agree with them, tap on ACCEPT to continue. The screen will display the install process progress. Please, make sure you don’t cancel it or turn off the phone during the installation, to avoid additional issues when trying to re-install the application. 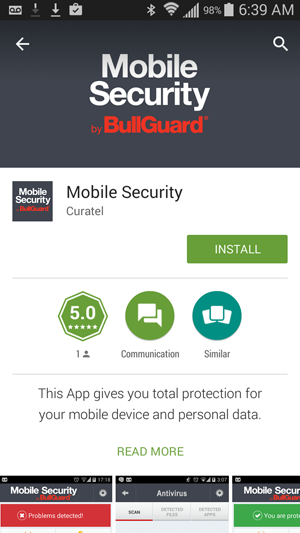 The install process should complete in a few moments after starting it and, once finished, you can start the Mobile Security application. To run the program, tap on OPEN. If you want to start it at a later time, exit the Play Store and restart it from your applications list once it is convenient for you. If you do not already have an account, please make sure to register one by following the instructions from the account Registration guide.